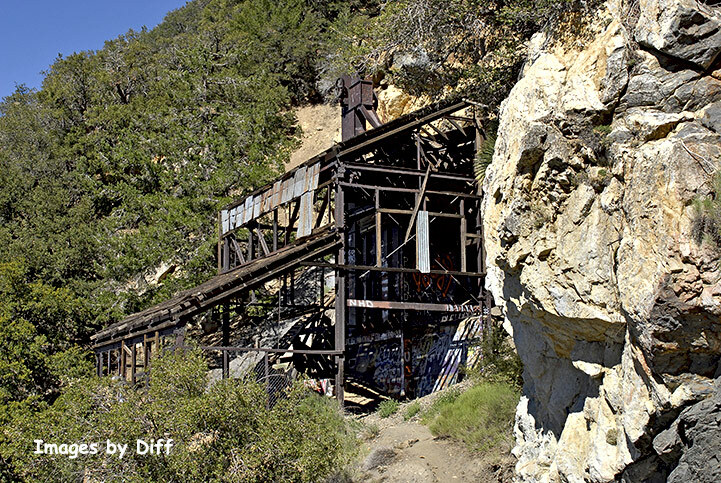 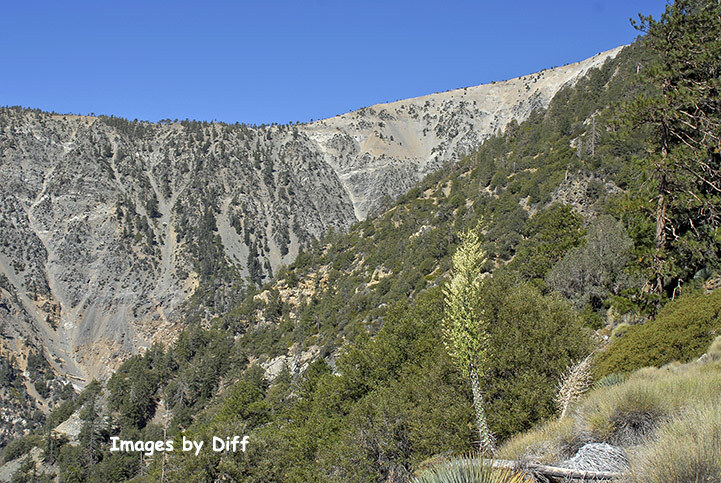 click photo to enlarge Big Horn Mine is in the Angeles National Forest not to far out of Wrightwood California. This is a fairly easy hike for the San Gabriel mountains. 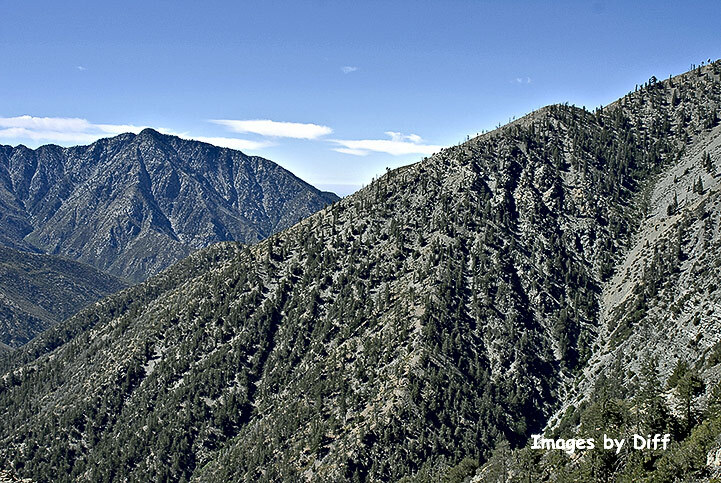 It is relatively flat and wide. 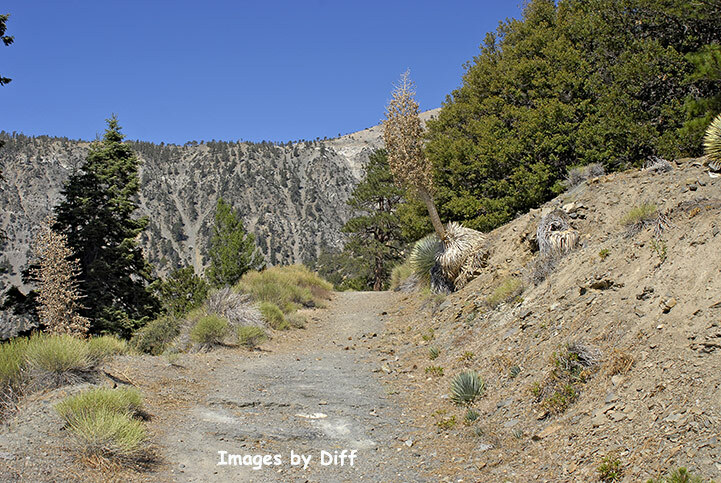 Although there are a few areas where the trail has been obliterated by land slides and then it becomes only inches wide so can be dangerous. click photo to enlarge The mine itself clings onto the side of the mountains and it quite interesting. The trail is about 4 miles round trip and only an 1100 foot elevation gain. 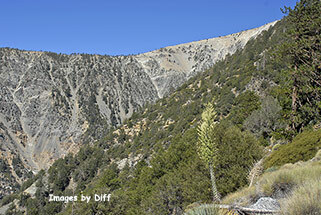 click photo to enlarge There are great views of the surrounding mountains from the trail. 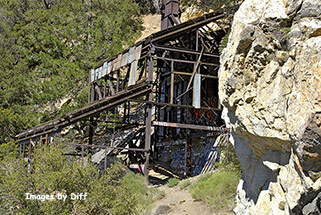 While I call it a rail it is actually an old wagon trail used to haul supplies and gold to and from the mine.